Civilian, military, and intelligence space capabilities all benefit from an increased presence of robotic satellite servicing technologies in space. The United States Department of Defense (DoD) and the National Aeronautics and Space Administration (NASA) have made sizable investments in space robotics technologies, how the field is viewed is the key to maintaining the United States’ place as a leader in space technology. However, few robotic servicing investments are focused on serving the highly distributed reconnaissance and telecommunications smallsat constellation that is currently being assembled in LEO by the private NewSpace industry. Altius Space Machines is developing a low-cost LEO-centric satellite servicing architecture to fill this emerging technological gap. 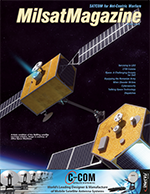 This perspective article first describes the motivation for developing LEO smallsat constellations, provides a history of U.S. government satellite servicing investments to date, and finally provides a perspective on the role that Altius will play in providing affordable satellite maintenance capabilities. The United States of America’s national security establishment has begun to assemble a massively distributed LEO space infrastructure in an effort to avoid future space conflicts. This simple, yet effective strategy, renders kinetic strikes and directed energy attacks significantly less effective by robbing such attacks of traditional “big juicy targets” as General Hyten, commander of U.S. Strategic Command recently said2. Such a strategy not only rewards the nation with the most distributed space infrastructure, but it also dissuades adversaries from launching preemptive attacks as the repercussions for such an infraction would far outweigh the benefit of disabling such a small part of the overall space infrastructure. The United States Intelligence Community (IC) has recently taken concrete steps to realize Mr. Shelton’s vision of replacing traditional space assets with disaggregated LEO smallsat constellations. Originally described as “Poor Man’s National Technical Means (NTM)”, commercial satellite imagery now provides ubiquitous and high-resolution imagery access to anyone with an internet connection3. Aside from imagery, the smallsat revolution is also beginning to target non-imagery markets. Several emerging smallsat companies seek to provide commercial signals intelligence apparatus with the detection of radio frequency (RF)-emitters, low bandwidth Internet-of-Things (IoT) networking capabilities, and an infrastructure to enable machine-to-machine (M2M) interactions. Lastly, Big LEO constellations from OneWeb, SpaceX, and others promise high bandwidth, low latency communication to government and commercial customers worldwide. The recently announced Defense Advanced Research Projects Agency (DARPA) Blackjack program seeks to leverage these Big LEO telecom constellations to serve as a mesh-network backbone, thereby enabling DOD LEO smallsats capabilities to support missile defense, tactical communications, and signals intelligence. Despite this progress, there is currently not a plan aimed at enabling robotic servicing of these LEO satellites that will be in orbit in 2020 and beyond. The DOD and NASA have only made investments in robotics technologies whose high costs limit their use to very high-value military assets and large GEO telecom satellites. As such, there is a technological gap to provide low-cost satellite servicing capability to spacecraft in LEO. As mentioned previously, satellite servicing has long been a topic of intense interest to the DoD and NASA. This interest has largely been spearheaded by DARPA, which began its interest in space robotics with the Spacecraft for the Universal Modification of Orbits (SUMO) program in 2002, followed by the Front-end Robotics Enabling Near-term Demonstration (FREND) program in 2005, with an eventual on orbit demonstration of satellite servicing in 2007 with their Orbital Express program. Following these three successful satellite-servicing programs, DARPA launched the F6 program in 2009 to demonstrate a distributed satellite hardware architecture. The F6 program was inherently linked to the DARPA Phoenix program, which aimed to construct a satellite in-orbit with the parts of decommissioned satellites “cannibalized” by the Phoenix spacecraft. After investments of US$200M, the F6 program was canceled in 2013 and the Phoenix program restructured in 2015, due to the U.S. Air Force’s dissatisfaction with the program. Finally, in 2016, DARPA launched the Robotic Servicing of Geosynchronous Satellites (RSGS) program. The program was a partnership between commercial and government entities, essentially combining all the technologies from SUMO, FREND, and Phoenix with a commercial bus provider to demonstrate on orbit demonstration of a geosynchronous satellite by 2021. Unfortunately, this program was marred in controversy from the start, with Orbital ATK filing a lawsuit against DARPA for the government competing with a commercial capability. The suit was eventually dismissed, and DARPA announced it was partnering with Space Systems Loral to develop the geosynchronous satellite-servicing vehicle. Meanwhile, Orbital ATK recently signed two contracts with Intelsat to provide satellite-servicing capabilities at geostationary orbit. • DARPA/SSL’s RSGS mission, which targets more sophisticated servicing of commercial and government spacecraft in GEO. First, LEO constellations tend to have much lower per satellite costs than their GEO counterparts. To be worthwhile, satellite servicing has to have a transaction price that is significantly lower than the replacement cost of the spacecraft. Second, LEO constellations involve significantly more spacecraft than GEO, and these spacecraft are usually distributed across a large number of different orbital planes, adding significantly more time and/or propellant to transfer between those planes. The larger number of spacecraft, and the mass-produced nature of these spacecraft will require much higher satellite servicing frequency. Due to these issues, a new low-cost architecture is needed to specifically address the smallsat LEO constellation. Altius is initially focusing on providing backup end-of-life disposal services for high-altitude LEO assets that are unable to complete their own post-mission disposal maneuvers (e.g., failed spacecraft from the proposed Big LEO constellations) and eventually extending this to more sophisticated servicing including propellant transfer and the installation of plug-and-play modules to repair or upgrade spacecraft. The autonomous servicing of these assets is essential to providing the flexibility, resilience, and persistence needed by government and commercial customers. Such servicing solutions provide satellite maintenance to enable a new generation of capabilities in space. Altius’ BullDog servicing solution is based on two key technologies: Altius’ patented Sticky Boom™ robotic capture system, which is incorporated into the BullDog servicing vehicles, and the Altius’ DogTag™ grapple fixtures, which will be mounted pre-launch as a cooperative servicing aid on the customer vehicles. 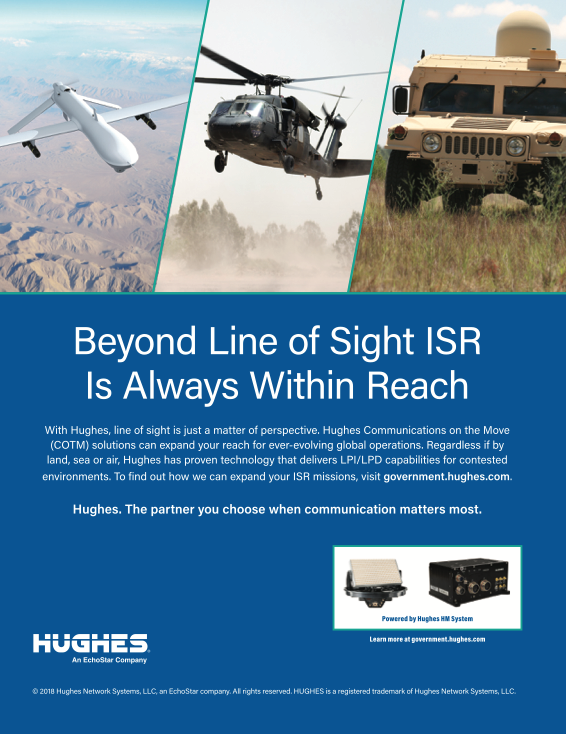 The Altius’ BullDog servicing solution will transition rendezvous-proximity-operations from a complicated and expensive endeavor, to one that is routine and low-cost. Sticky Boom uses a 6 degree-of-freedom steerable, long-reach (2 to 5 meters), extendable/retractable composite arm with an electro-permanent magnetic (EPM) capture head to magnetically attach to the target vehicle’s DogTag. 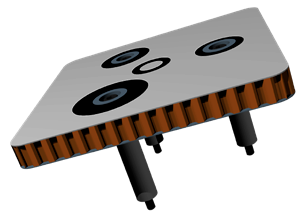 The EPM gripper is a solid-state switchable magnet that only requires power to switch on or off, allowing the gripper to remain magnetized indefinitely without requiring continuous power. The Sticky Boom allows capture of even tumbling targets without requiring a highly-maneuverable, expensive spacecraft bus, by offloading most of the complexity to the Sticky Boom and EPM capture head. DogTags are a lightweight, low-cost cooperative capture interface (~250g and ~US$1,000 for the Big LEO constellation version) installed on a satellite before launch that makes a target spacecraft much easier to capture by combining a sheet of magnetically-grippable ferrous material with optical fiducial markings on its surface. This technology, therefore, provides an easy machine vision target for simple rendezvous sensors. The ferrous material in the DogTags provides a strong magnetic target for the EPM gripper head, without retaining significant residual magnetic fields when the gripper is removed, thereby minimizing magnetic interference with the target spacecraft. The fiducial markings enable the BullDog sensor to precisely estimate relative position and movement of the capture target prior to connection without the need for complex and expensive LIDAR systems. By using these pre-installed DogTag cooperative capture interfaces and the Sticky Boom capture system, Altius can provide affordable LEO satellite servicing using a low-cost, smallsat-scale Bulldog servicing vehicle. The IC/DOD’s highly disaggregated future space architecture will likely maintain the United States’ space dominance for decades to come. 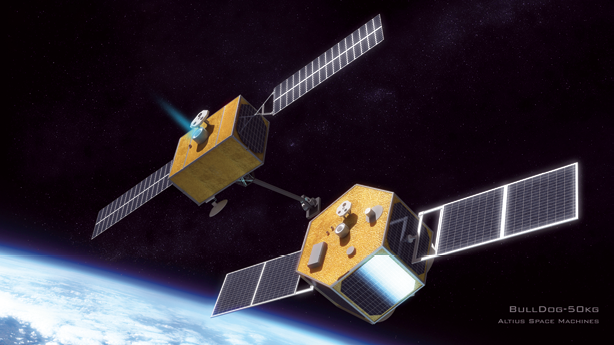 By providing low-cost, efficient satellite servicing capabilities to the future disaggregated space architecture; Altius aims to play a critical role in continuing an era of U.S. space superiority. Mr. Shawn M. Usman is an astrophysicist with Altius Space Machines, supporting advanced robotics initiatives. Mr. Usman has more than a decade of federal service with the United States Intelligence Community where he led teams in the development of next-generation reconnaissance systems. Mr. Usman holds an M.S. in Applied Physics from Johns Hopkins University, as well as dual B.S. degrees in Physics and Mathematics from Purdue University.